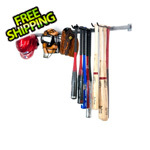 The Small Sports Storage Rack by Monkey Bars can get all of your sports gear organized. This rack can hold equipment for almost any sport. 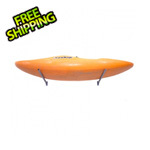 The small ball bag can hold up to 60 baseballs, tennis balls, and racquetballs. It can hold many more golf balls and hockey pucks. 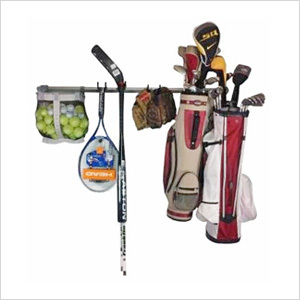 The variety of hooks on this garage sports organizer can hold tennis rackets, baseball bats, hockey sticks, baseball gloves, helmets, and pads for any sport.